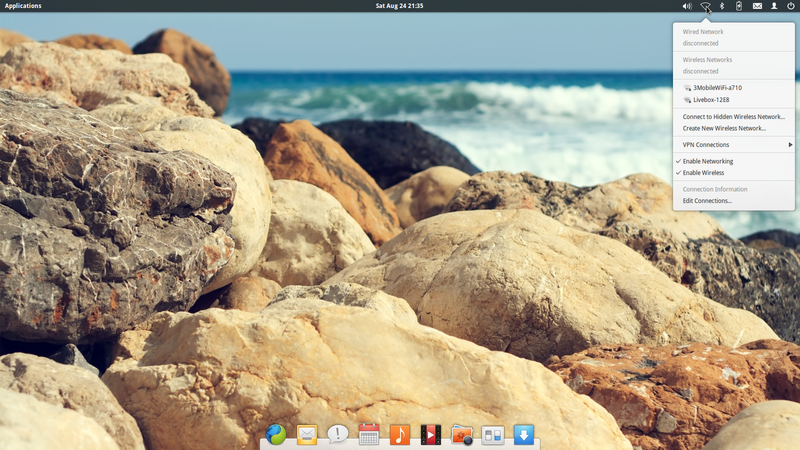 One of the most talked about Linux distributions over the past couple of months is Elementary OS. Elementary has been reviewed everywhere from linuxuser.co.uk to the Linux Action Show. Now it is my turn to review Elementary OS to see what all the fuss is about and I promise you one thing from the outset. There will be no references to Sherlock Holmes whatsoever. If you are wondering about the title of this article then all will be revealed later on. From the moment you visit the Elementary OS website you understand the approach that has been taken by the developers. The website is minimalistic but elegant and that shines right through from the website to the operating system. The next generation of elementary OS is here. Lightweight and beautiful. All-new apps. A refined look. The goal of the project is style and simplicity. 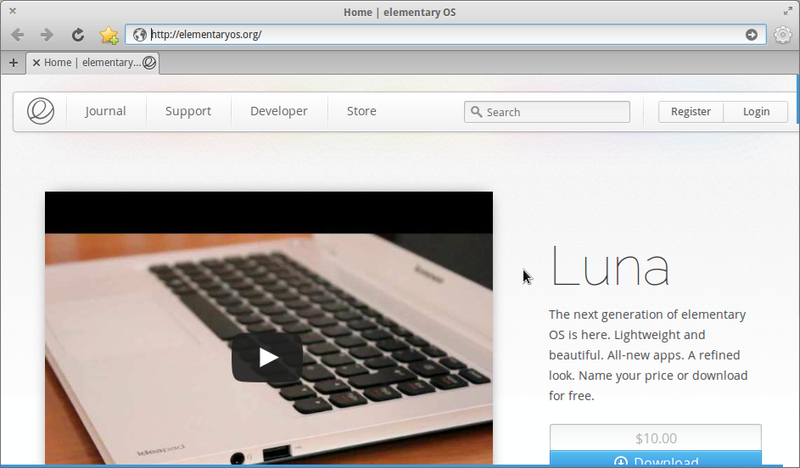 elementary OS is a free replacement for Windows on the PC and OS X on the Mac. It comes with what you’d expect, like a fast web browser and an app store with thousands of apps. Plus some things you may not expect, like free updates and no known viruses. Elementary is clearly targeted at Windows users and Mac users who want to try something different. The word “Linux” is not mentioned until right at the bottom of the front page of the website. What this says to me is that “Yes, this is a Linux distribution but first and foremost it is an operating system”. This review will be based on the goals of the project and I will try to determine how stylish, how lightweight and how usable Elementary OS is. Elementary OS is based on Ubuntu and therefore the installer will be familiar to anyone who has installed a Ubuntu based operating system before. To download Elementary OS visit http://elementaryos.org/. The download link is on the front page. The developers ask for a donation for their project and by default it is set to $10. You can choose to pay as little or as much as you like and that includes the ability to use Elementary for free. Once you have downloaded Elementary OS you can burn it to DVD using your favourite disc burning software or you can install it to a USB drive using your favourite tool. I used Unetbootin. I always try to use the live version of a distribution before installing it for real so that I can see what sort of issues may lie ahead. I had a few issues but I will come to those when discussing the fully installed version. The installer is fairly self explanatory from beginning to end, choose your language, keyboard layout, time zone, add a new user and set the password and finally partition your drive. The partitioning in Ubuntu based distributions is fairly easy including the option to install alongside current operating systems, use the whole disk or perform a custom install. I always choose the custom install as I have multiple distributions installed on my hard drive at the same time. Elementary OS lives up to its hype in terms of style. The desktop environment is based on Gnome but is actually called Pantheon. The main screen has a bright and colourful desktop image of a rocky beach, there is a panel at the top and a docking bar at the bottom. The top panel has the “Applications” link in the top left corner which brings up the menu, there is a calendar in the centre of the panel and on the right there is the customary system tray. When you boot Elementary for the first time the dock at the bottom of the screen has 9 icons. 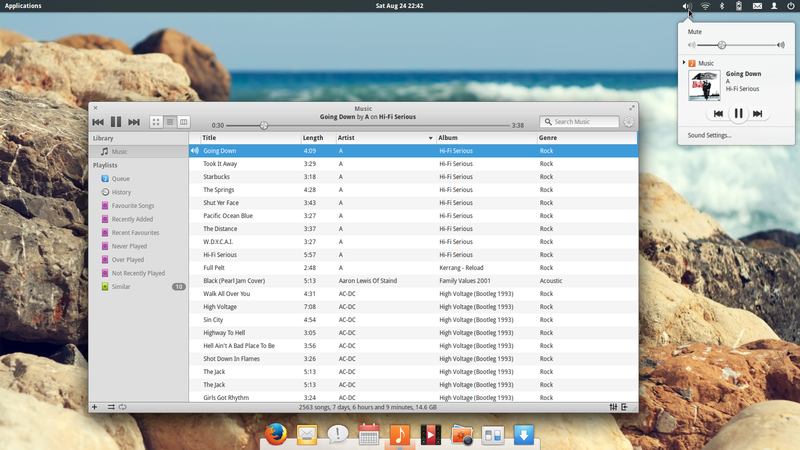 The menu is one of the most attractive looking menus I have seen in any operating system and it is highly functional. There aren’t many applications installed by default but searching for the application you need works well by typing the application name or the type of application you need in the search box. If you just want to browse the menu you can use the default icon view or you can choose a category view which shows a list of categories down the left side and the applications on the right side.The way windows interact on the screen just ooze class. Some people might complain at the lack of a minimize button but the window management is excellent. Hot spots can be set up to control workspaces and there are great rolling effects when adding and switching workspaces. The way the windows tile make them snap nicely next to each other or they can be maximised by dragging up to the top panel. All I can say is 10 out of 10 for style. Elementary feels very quick but with nothing else running it uses 550 mb. I am using a fairly decent laptop with an i5 processor and 8gb ram which doesn’t really test Elementary at all because it runs like a dream. I haven’t experimented much with customising the desktop and I’m not sure how far you can go with it but everyone likes to choose their own wallpaper so to do that click the “Systems Settings” icon. The “Systems Settings” screen is fairly typical with icons for personal settings, hardware and network and wireless. To change the desktop background click the desktop icon. Elementary comes with a nice set of default wallpapers but of course you can add your own. The dock tab lets you choose the size of the icons for the dock, whether the icons hide when applications are maximised and the theme of the dock. (Choosing transparent blends the icons in with the background wallpaper). The hot corners tab lets you define each corner as a hot spot and you can choose different functionality for each corner. For instance I have defined the bottom right corner so that the workspace manager appears when I place the mouse point there. Connecting to the internet is a breeze. Clicking the network icon brings up all my wireless networks and at certain times of the day next door’s wireless network. 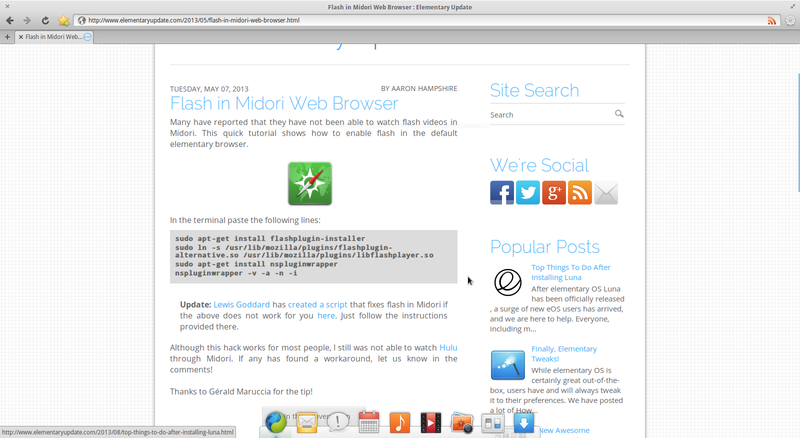 The default browser in Elementary is Midori and to be honest I’ve never really found it to be that great. It is fine for viewing basic web pages but when trying to view sites containing Flash it just feels like one big hack. All this brings me onto the next section. Trying to get Flash working within Elementary is the only real let down I experienced whilst using Elementary and I think it is solely the attempt to integrate Flash into Midori which causes this problem. I understand why Midori was chosen (because it is lightweight) but I think the developers could do themselves a favour and go for something like Iceweasel instead. I am running on a 64-bit machine and I would guess that as we are coming towards the middle of the decade a lot of other people are also running 64-bit machines. I read various guides on how to get Flash working with Midori but they all failed for me and I’m not the only person to report this. (http://www.dedoimedo.com/computers/elementary-beta.html). I followed a guide at elementaryupdate.com and I also tried various forum links and the solution seems to be to go back to 32 bit libraries. In the end I found the best solution was to install the chromium browser and then Flash worked perfectly. Incidentally I also installed FireFox and Flash worked fine on that as well. And… to prove that Flash is working correctly the above image is from Youtube and shows an ageing Corey Feldman singing. Seriously if you want to see something really horrific visit http://youtu.be/uZgzSwTW0Qs. This video looks like it was made by Corey himself and the best way I can think to describe the singing is to get you to imagine Captain Caveman falling down two flights of stairs. To get a real feel about how bad Corey’s singing is visit http://youtu.be/cylUp7cRU7s. I think Corey is trying to sound like the band Killing Joke but he only really manages to sound like he is killing Charlie. (This joke will be lost on a lot of people so I will provide a link to Charlie as well. 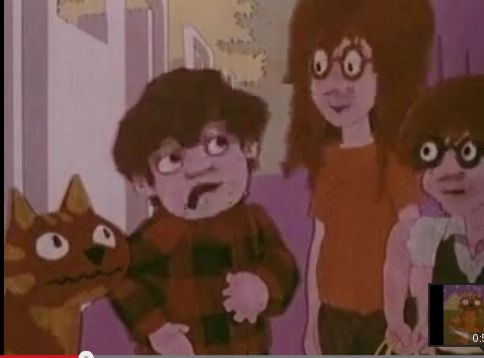 “Charlie says” was a public information film which told us as children that we should always tell our mum where we are going and who we are going with. 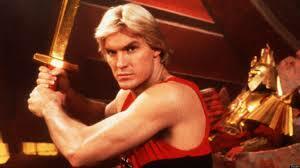 Especially if he looks like Corey Feldman). The default audio application in Elementary OS is a simple application called “Noise”. Whilst it isn’t Rhythmbox or Banshee it does the job very well and like all the applications in Elementary looks very elegant. When you first start “Noise” you have to go and find your music collection and as long as the music is local it is simply a case of searching for the top level music folder. Dedoimedo mentioned in his review he had some issues using Samba. Playing MP3 files isn’t available automatically but when you first click to play an MP3 file a message appears asking whether you want to install the relevant plugins. This is a simple point and click exercise and in less than a minute your system is set and the music starts playing. Elementary OS is fairly small in size and therefore there aren’t many applications installed by default. I think the idea is that you have a basic set to get you started and then it is a case of using the software centre for everything else. 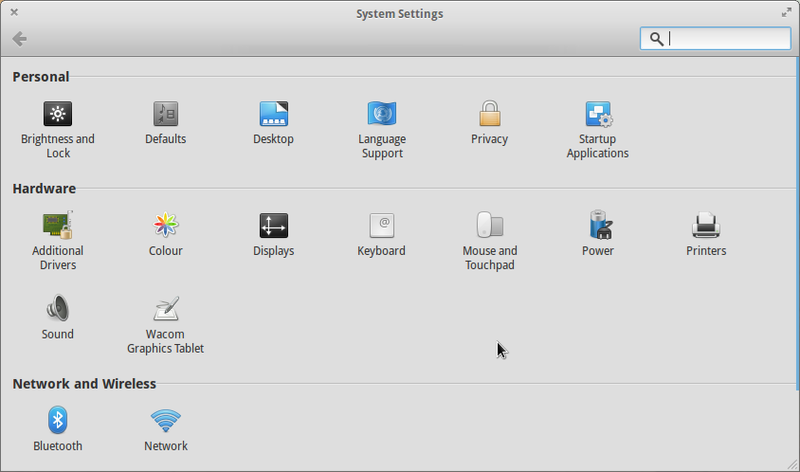 To install applications click the “Software Centre” icon on the dock and you will be reminded that Elementary OS is a very elegant looking Ubuntu derivative. 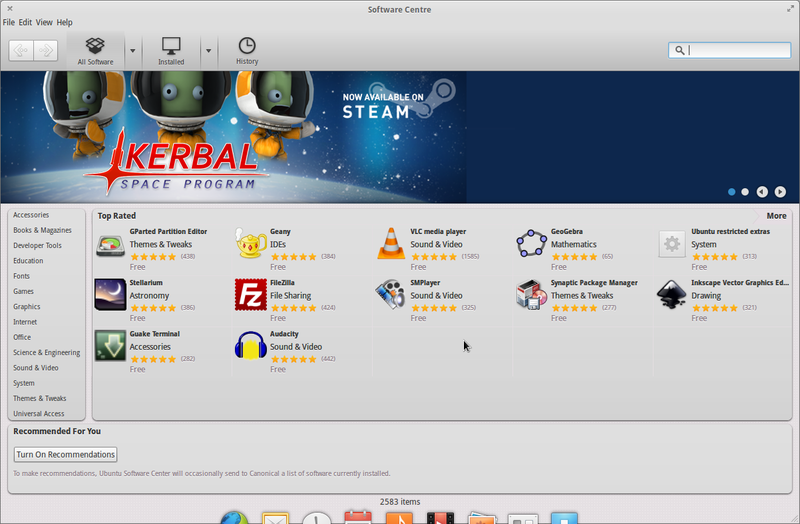 The “Software Centre” is the same application that comes with Ubuntu. To be honest I think in this case it would be better to go with the one that comes with Linux Mint. Elementary provides a really nice user experience in terms of style, simplicity and performance. For a user coming across from Microsoft or Apple the Elementary operating system has a lot to offer. Make Midori work with Flash (not a hack, actually get it working for 64-bit computers). Wait 5 years for the next release when Flash might have finally disappeared. I like the applications that have been included and I could really see me using Elementary OS on a Netbook. For people who simply use their computer for Facebook, web browsing, watching the odd video and listening to music, Elementary is the perfect operating system. Before I sign off remember to check out the Corey Feldman videos. I was a big fan of “The Lost Boys” in the 80s and I still think it is a great film. “The Lost Boys 2″…. not so much. The videos will hurt your eyes and ears but they certainly made me chuckle. Is Everyday Linux User top blog? I think the word "elementary" should not be capitalized. So what is using "550 megs" when idle? I've been looking a long time for a distro to replace UNR 10.04 on my old netbook, and I thought I had found it with Elementary. My first impressions were very positive, however, after using it for a week I'm finding there are too many glitches with Elementary to make it my production system. The dock bar “Plank” is often very slow to respond after start-up (very frustrating); the system hangs on wake from suspend when running on battery; I had to spend ALLOT of time downloading apps. and utilities (the basic things normally included in most distro.). In the pursuit making it clean and simple I find that they have 'Dumb-it Down' a bit too much. So I'm sticking with UNR 10.04, everything just works! I'm a Microsoft Consultant by trade, and always looked at various distros without installing them full-time. With Elementary Luna, I've installed it full-time on 2 out of 4 home PCs. It is because of this distro I set up my first NFS, DHCP, DNS, TFTP, and FTP on a Linux based machine. I've always done the above on Windows only, but because I truly enjoyed the Elementary experience, I took a day to learn. All Linux distros I've tried were so so in terms of interfaces; Unity, GNOME 2/3, KDE, LXDE, XFCE, and then Mint, Ubuntu, CentOS, PCLinuxOS, Crunchbang, etc. It is with Elementary I finally saw the Linux future; beautiful, clean, and very functional. Very aesthetically beautiful OS. 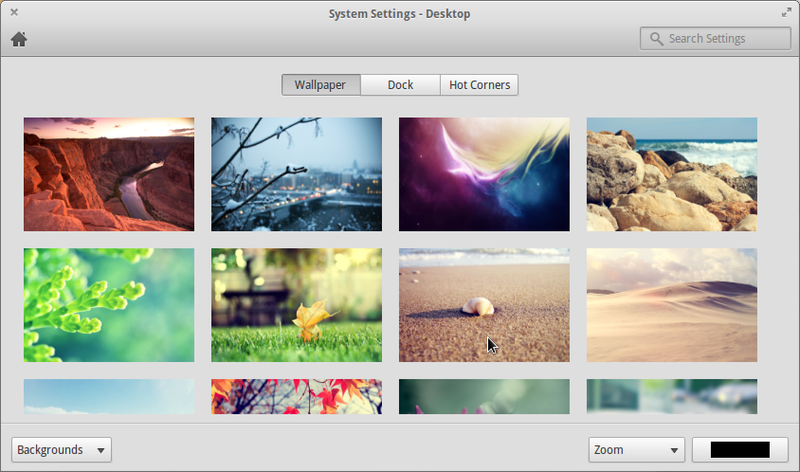 It is a work of art…yes, I have become a fan of a Linux distro finally. Well chiseled prose. When science meets art, as in this OS, a new time line appears. I for one intend to follow it a bit to see where it may lead. My experience of it was very much like yours – "the Linux future; beautiful, clean, and very functional". Charlie, I totally agree! "It is with Elementary I finally saw the Linux future; beautiful, clean, and very functional. Very aesthetically beautiful OS. It is a work of art…yes, I have become a fan of a Linux distro finally." 32 bit version is using ~350MB when idle. Great distro/OS, very polished, fast, light on resources and overall good user experience. Recommended. Well… it's only 0.3 (and free). 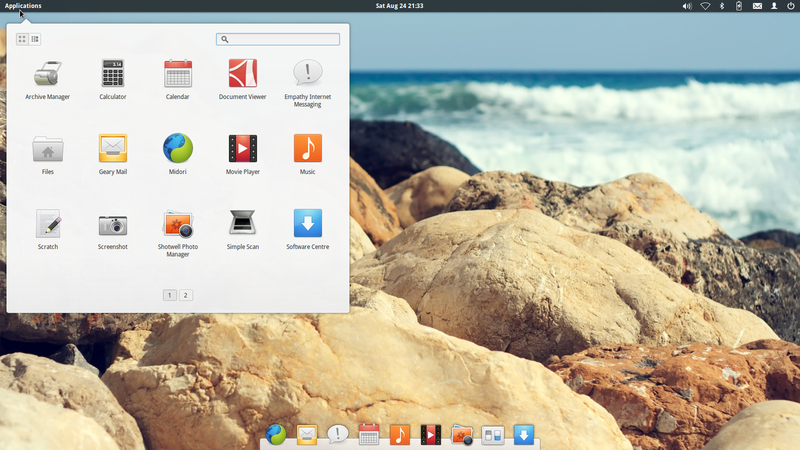 The BEST Linux OS I have used, just brilliant. If anyone is looking for a really customisable Distro, this is not it. I think the Elementary team have taken the same view as the Apple developers that their configuration and style do not need customising so don't bother providing that option. One more thing (for commentors). A good general rule when some criticizes a feature in an open source product is not to reply with, "what do you expect, it's free". No project is exempt from criticism as long as it is genuine and honest. Customization? Please. There are a variety of X Window systems available out there. Why not just install the Debian base then YOU choose what X Window system you want. That is the whole point of linux. This is a distro. The developers of this distro reserve the right to do whatever they please with it. There are a number of video reviews on YouTube and other sources about this distro, so that should be enough excellent hindsight to avoid it. Constructive criticism is invalid for open source projects…because people have control over the software. Don't like Luna's interface? Install GNOME. Install XFCE. Print a picture of a happy face and put it on your monitor. Luna, like any other linux distro, is flexible. I see the greatness in all platforms but more importantly the open source ones. Welcoming negativity for developers is a very disrespectful move, especially considering they are people like you and me who have families, jobs, and lives but they spend their free time coding and creating something, giving something to the world that people can use and do what they want with. Think about this before you compare them to 'Apple Developers' whom are closed-source. You have every right to complain if you paid for an operating system that was commercial. But no right for open source platforms. These people work hard and I genuinely respect and commend their work. This is coming from a long time Debian user. Thanks for this great blog (and forgive my English if I've done errors). Just took a first look at Elementary last night. I played with the live version for a couple hours and something about it kept me interested. This morning I got one of my old laptops that had windows XP on it, wiped it clean and installed Elementary. It runs pretty fast on 2 gig of ram and a 1 gig CPU. I've used Linux for about 8 years. I've used many different distributions but Mint has always been my favorite. I will most likely stick with Mint for most of my computer work and play but I truly like Elementary. It has a fresh feel to it and is just plain fun. elementaryOS has evolved becoming much more customizable since this review was written. That frequently happens with new distributions as it takes time for users to dig around and figure out how to change things. As someone who has been using desktop environments since CDE (don't ask), I've tended to stick with XFCE. I've always hated desktop environments in Linux. Most feel 80% complete, but they never feel polished or finished. Having lived with Ubuntu, Xubuntu and Mint XFCE for a while, I finally settled on elementary OS and have been running it since the Luna beta. I love the fact that it has a stable Ubuntu base which seems to just work with everything (I have updated the kernel and X.org to the latest HWE), and the Pantheon desktop is designed to work in a very intuitive way. It looks good, it works well and I trust it. Guys, I have a netbook with 320gb of storage. I divided it into 3; C: (50gb), D: (120gb), E: 9120gb). I've installed Win8 and I am interesting to install Elementary OS as the second OS. For this dual OS purpose, I am going to install this EOS on drive E:. So, What should I do? How much of storage size I should allocated for this Linux distro? I installed elementary OS on a long-unused HP Mini 1000 netbook (1.6GHz Atom, 2GB RAM, 16GB SSD) and found it very easy to install, responsive, and easy to use. I didn't even bother to run it from the live install on the USB drive–I just installed it over the existing XP installation. The HP Mini had been sitting unused for 2 years+ and elementary OS has given it a new lease on life as a convenient, very portable machine for basic Internet activity. Thank you for this excellent review.Very promising, so I will download and burn a disk. I needed one more distro that can be installed easily, and this one will join the handful of candidates, all not surprisingly related to Ubuntu.